To keep pace with the US’ improving anti-submarine capabilities and its ballistic missile defence program, China will seek to better protect its submarines in the South China Sea. Nuclear security is not very fashionable at the moment – hybrid warfare, rogue states, historical revisionism, and counterinsurgency are the leading concerns of the day. Yet nuclear dynamics are hardly a hangover from the Cold War – concepts like assured retaliation and credible deterrence are still the ultimate guarantors of the security of great power states. Nor are nuclear politics static. In fact, the nuclear component of the 21st century’s most important bilateral relationship – that between the US and China – is slowly changing. This trend normally fades into the background of international relations. Even amidst the recent turmoil in the South China Sea – which Beijing would prefer to use as a bastion for its nuclear-armed submarines – the issue of nuclear politics has rarely surfaced in popular discourse. From the end of the Cold War until 2002, the future of nuclear security looked bright. In that year, the United States withdrew from the Anti-Ballistic Missile Treaty, which had prevented a destabilising arms race in missile defence systems between the US and the Soviet Union. The American withdrawal from the treaty prompted China (and others) to modernise their nuclear forces in order to compensate for the unencumbered and expanded American ballistic missile defence program. In particular, China began to better protect its land-based intercontinental missiles and also improved their range and effectiveness. In 2006, Beijing began to deploy its current generation of SSBN (ballistic nuclear missile submarines), the Type 094. Since then both the US and China have continued to steadily improve their strategic forces. China has been compelled to upgrade its nuclear missiles in order to maintain its strategy of ‘first strike uncertainty,’ which is designed to make any opponent unsure of being able to completely neutralise China’s nuclear weapons in a surprise attack. An important part of this strategy involves improving China’s nuclear-armed submarines. 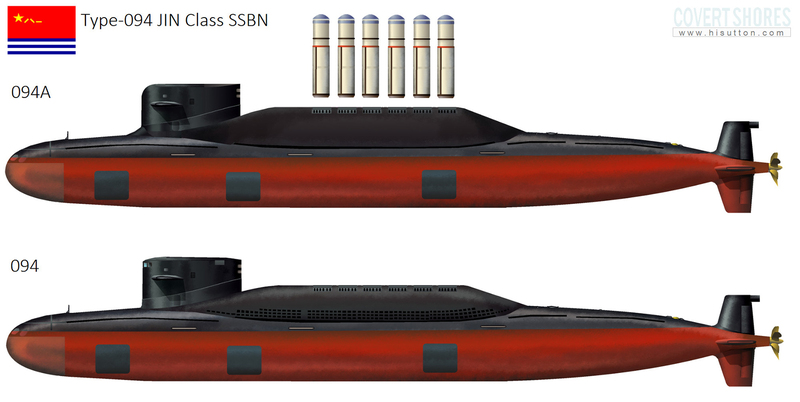 China currently fields four Type 094 SSBNs, but they are noisy and therefore vulnerable to detection and attack. The boats also lack operational experience in the wider Pacific – they tend to stay close to their base in Hainan, which means that their nuclear missiles cannot reach the continental United States. In order to get within striking distance in a conflict scenario, these submarines would have to secretly escape the South China Sea through chokepoints dominated by the US Navy and its allies, which is somewhat unlikely given that they are about forty years behind American submarines in terms of stealth technology. In most other countries’ nuclear arsenals, nuclear-armed submarines are the ultimate insurance against a surprise nuclear strike. They are hidden and protected by the vastness of the ocean and can patrol relatively close to an adversary’s coastline. Beijing is therefore seeking to increase the strike range of its SSBNs and to increase their stealthiness, which would allow them to venture further from the Chinese mainland. China intends to achieve this with the next generation of nuclear-armed submarines and their ballistic missiles. These weapons – the Type 096 and the JL-3, respectively – are slated to be deployed sometime in the next decade. This generation of submarines will be more silent and is intended to have missiles capable of reaching the continental United States from China’s near seas. 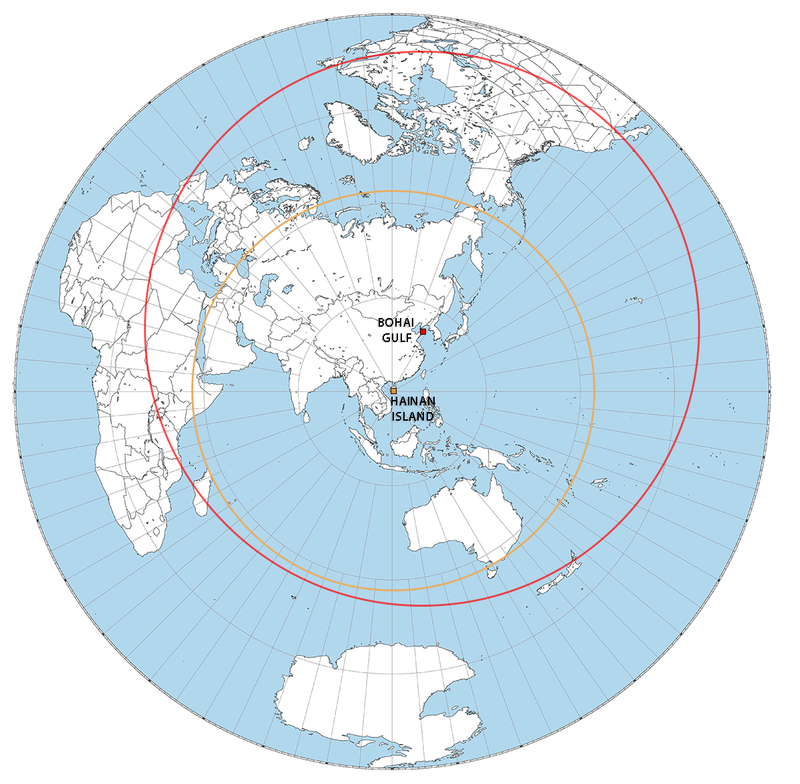 If this objective is met, Beijing would then be able to rebase its submarines in the heavily-defended Bohai Gulf or Yellow Sea, which it would use as a bastion, or safe zone, for its seaborne nuclear deterrent. Until their missile range improves enough to target the continental United States, China’s nuclear-capable submarines are more useful in the South China Sea, where they can at least target India and Russia. 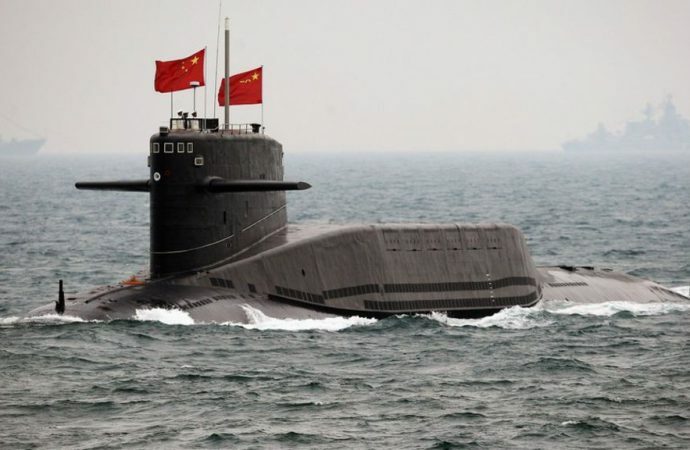 To keep pace with steadily improving US anti-submarine warfare technology and the American ballistic missile defence program, China will need to better protect its submarines in the South China Sea. This is where Beijing’s recent island-building spree becomes relevant. It appears that Beijing has already built underwater sound surveillance networks around its submarine base at Hainan; increased control over the Paracel and Spratly Islands would allow it to expand this network and improve its ability to track US attack submarines that could threaten Chinese nuclear-armed submarines. In fact, late last year the blueprints for a potential “Underwater Great Wall Project” were made public. This system of undersea sensors would likely link China’s new artificial island bases with the mainland. Such a system would work in tandem with surveillance planes and radar facilities on the reclaimed islands, which together could radically improve tracking of US anti-submarine ships and aircraft. The new islands could also host communications infrastructure to better link China’s seaborne nuclear deterrent to its military command structure. While Beijing is currently far from being able to turn the sea into a submarine bastion – to do this it would have to evict the US Navy – it may be slowly building up a foundation for such a bastion in the future. 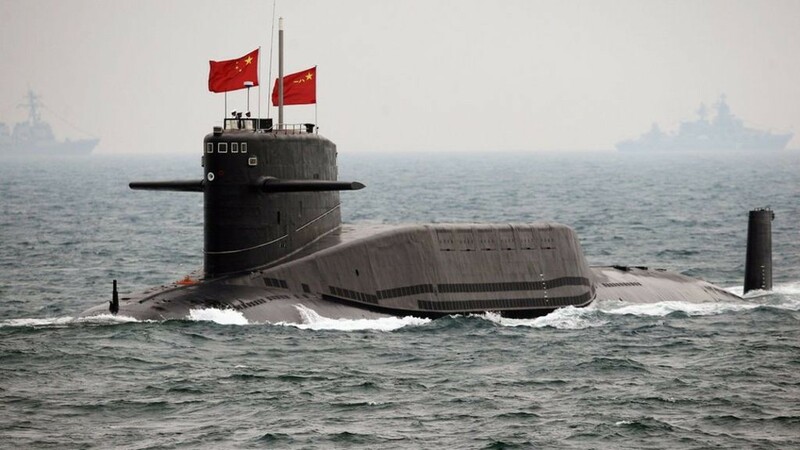 In the meantime, enhanced sensory capability in the South China Sea would aid noisy Chinese SSBNs in escaping the sea into the wider Pacific during a conflict scenario, which would render them less vulnerable. Sino-American nuclear dynamics have the feel of a slow-moving arms race. China has never felt the need to achieve nuclear parity with its rivals, but it does need to convince them that it could slip a few warheads through their missile shields in the event of nuclear war. With Washington continually strengthening its integrated missile defence shield with improved radar facilities, ground-based THAAD interceptors, and the seaborne Aegis ballistic missile defence system, Beijing will continue to defend and improve its nuclear forces. Since South China Sea-based SSBNs comprise an increasingly important component of China’s nuclear deterrence strategy, this drive towards nuclear security will be an additional motivator for Beijing to extend its control over the South China Sea. As long as China retains first strike uncertainty and the US maintains nuclear superiority — the status quo – the world’s most worrying rivalry should remain largely unaffected by nuclear dynamics. If, however, one country leaps ahead of the other technologically, expect to see far more tension in the relationship — and perhaps more strife in the South China Sea. Special thanks to H.I. Sutton for providing subject matter expertise on Chinese submarines.